Dr. Nidal’s focus is on expanding our knowledge on contemporary issues such as cost effective harnessing of solar energy, sustainability of foam extrusion, and functionality of commodity plastics. His lab is capable of synthesizing an array of polymeric materials (thermoplastics, elastomers, and thermosets) with specific characteristics (physical, thermal, and mechanical) or functional properties. Currently, he is working on synthesizing new polymer and polymer-composite foams capable of removing heavy metal toxics from drinking water at low levels (ppb) and high cation exchange rates. “The effect of particle size of fly ash on the interfacial interaction and performance of PVC/FA composites,” Parisa Khoshnoud and Nidal Abu-Zahra. Journal of Vinyl & Additive Technology. IN PRESS (1/28/2018). “Kinetics of Thermal Decomposition of PVC/Fly Ash Composites,” Parisa Khoshnoud and Nidal Abu-Zahra. International Journal of Polymer Analysis and Characterization, 23(2): 170-180 (2018). “Properties of Rigid PVC Foam Composites Reinforced with Different Shape Fillers,” Parisa Khoshnoud and Nidal Abu-Zahra. Journal of Thermoplastic Composite Materials, 30(11): 1541-1559 (2016). “Evaluating recyclability of fly ash reinforced polyvinyl chloride foams,” Parisa Khoshnoud, Jon Carl Wolgamott, Nidal Abu-Zahra. Journal of Vinyl & Additive Technology, 4(9): 1-8 (2015). “Mechanical Properties and Dimensional Stability of Rigid PVC Foam Composites Filled with High Aspect Ratio Phlogopite Mica,” Murtatha M. Jamel, Parisa Khoshnoud, Subhashini Gunashekar, Nidal Abu-Zahra. Journal of Minerals and Materials Characterization and Engineering, 3(4): 237-247 (2015). “Enhanced Dimensional Stability of Rigid PVC Foams Using Glass Fibers,” Nidal H. Abu-Zahra, Murtatha M. Jamel, Parisa Khoshnoud, Subhashini Gunashekar. World Academy of Science, Engineering and Technology, International Journal of Chemical, Molecular, Nuclear, Materials and Metallurgical Engineering, 9(1): 1-7 (2015). “Effect of E-Glass Fibers and Phlogopite Mica on the Mechanical Properties and Dimensional Stability of Rigid PVC Foams,” Murtatha M. Jamel, Parisa Khoshnoud, Subhashini Gunashekar, Nidal Abu-Zahra. Polymer-Plastics Technology and Engineering, 54(15): 1560-1570 (2015). “Enhancement of Dimensional Stability of Rigid PVC Foams Using E-Glass Fibers,” Murtatha M. Jamel, Parisa Khoshnoud, Subhashini Gunashekar, Nidal Abu-Zahra. Journal of Minerals and Materials Characterization and Engineering, 3(2015): 65-75 (2015). “Evaluating the Performance of Class-F Fly Ash Reinforced PVC Foam Composites,” Parisa Khoshnoud Murtatha M. Jamel Subhashini Gunashekar, Nidal Abu-Zahra. International Journal of Innovative Research in Science, Engineering and Technology, 4(9): 9419-9427 (2015). “Enhanced Thermal Properties of Rigid PVC Foams Using Fly Ash,” Nidal H. Abu-Zahra, Parisa Khoshnoud, Murtatha Jamel, Subhashini Gunashekar. World Academy of Science, Engineering and Technology, International Journal of Chemical, Molecular, Nuclear, Materials and Metallurgical Engineering, 9(1): 1-7 (2015). “Effect of Cenosphere Fly Ash on the Thermal, Mechanical, and Morphological Properties of Rigid PVC Foam Composites,” Parisa Khoshnoud and Nidal Abu-Zahra. Journal of Research Updates in Polymer Science, 4(1): 1-14 (2015). “Comparative Analysis of Rigid PVC Foam Reinforced with Class C and Class F Fly Ash,” Parisa Khoshnoud, Subhashini Gunashekar, Murtatha M. Jamel, Nidal Abu-Zahra. Journal of Minerals and Materials Characterization and Engineering, 2(6): 554-565 (2014). "Synthesis and Characterization of Polyurethane-Nanoclay Composites," Manasa Nayani, Subhashini Gunashekar, and Nidal Abu-Zahra. International Journal of Polymer Science, Vol. 2013: 1-5 (2013). “One Step Forward to a Sustainable Green Solution of Extruded Foam PVC Building Products,” Hong Chang and Nidal Abu-Zahra. Journal of Vinyl & Additive Technology, 17(1): 17–20 (2011). "Extrusion of Rigid PVC Foam with Nanoclay: Synthesis and Characterization," Nidal H. Abu-Zahra, Ali M. Alian, Ron Perez, Hong Chang. Journal of Reinforced Plastics and Composites, 29(8): 1153-1165 (2010). “Density and cell morphology of rigid foam PVC-clay nanocomposites,” Nidal H. Abu-Zahra, Ali M. Alian. Polymer- Plastics Technology and Engineering, 49(3): 237-243 (2010). “Mechanical properties of rigid foam PVC-clay nanocomposites,” Ali M. Alian and Nidal H. Abu-Zahra. Polymer-Plastics Technology and Engineering, 48(10): 1014-1019 (2009). “Measuring Melt Density in Polymer Extrusion Processes Using Shear Ultrasound Waves,” Nidal Abu-Zahra. International Journal of Advanced Manufacturing Technology, 24(9-10): 661-665 (2004). “In-Line Monitoring of PVC Melt Viscosity Using Dielectric Measurements,” Nidal H. Abu-Zahra. The International Polymer Processing Journal, 19(1): 16-20 (2004). “On-Line Measurement of Glass Filler in Polypropylene Compounds Containing TiO2,” Nidal Abu-Zahra and Taysir H. Nayfeh. Materials Evaluation, 62(1): 63-68 (2004). “Real-Time Viscosity and Density Measurements of Polymer Melts Using Dielectric and Ultrasound Sensors Fusion,” Nidal Abu-Zahra. Mechatronics, 14(7): 789-803 (2004). “Measuring Polymer Melt Density and Viscosity in Real-Time during Extrusion Processes using Ultrasound Sensors Fusion,” Nidal Abu-Zahra. The International Polymer Processing Journal, 18(4): 362-367 (2003). “Neural Network Approach to Density Control of Rigid PVC Foam in Extrusion Process,” Nidal Abu-Zahra. The International Polymer Processing Journal, 18(2): 122-126 (2003). “On-Line Monitoring of PVC Foam Density Using Ultrasound Waves and Artificial Neural Networks,” Nidal Abu-Zahra and Samira Karimi. International Journal of Advanced Manufacturing Technology, 19(8): 618-622 (2002). “Ultrasound Measurement of Two Filler Concentrations in Polypropylene Compounds - Part 1: Static Calibration,” T. H. Nayfeh, N. H. Abu-Zahra, W. M. Fedak, A. A. Salem. International Journal of Advanced Manufacturing Technology, 20(4): 313-318 (2002). “Ultrasound Measurement of Two Filler Concentrations in Polypropylene Compounds - Part 2: On-Line Calibration,” T. H. Nayfeh, W. M. Fedak, N. H. Abu-Zahra, A. A. Salem. International Journal of Advanced Manufacturing Technology, 20(11): 812-816 (2002). “In-Process Density Control of Extruded Foam PVC Using Wavelet Packet Analysis of Ultrasound Waves,” Nidal H. Abu-Zahra and Ashish Seth. Mechatronics, 12(2002): 1083-1095 (2002). “In-Line Density Monitoring of Rigid PVC Foam During Extrusion Process,” Nidal H. Abu-Zahra and Hong Chang. The International Polymer Processing Journal, 15(4): 348-354 (2000). “Adsorption Kinetics and Evaluation study of Iron Oxide Nanoparticles Impregnated in Polyurethane Matrix for Water Filtration Application,” Faten B. Hussein, Nidal H. Abu-Zahra. Journal of Minerals and Materials Characterization and Engineering, 5(5): 298-310 (2017). “Synthesis of 4A Zeolite and Characterization of Calcium- and Silver-exchanged Forms,” Saeed Golbad, Parisa Khoshnoud, Nidal Abu-Zahra. Journal of Minerals and Materials Characterization and Engineering, 5(5): 237-251 (2017). “Extended Performance Analysis of Polyurethane-Iron Oxide Nanocomposite for Efficient Removal of Arsenic Species from Water,” Faten B. Hussein, Nidal H. Abu-Zahra. Journal of Water Science and Technology: Water Supply, 17(3): 889-896 (2017). “Hydrothermal Synthesis of Hydroxy Sodalite from Fly Ash for the Removal of Lead Ions from Water,” Saeed Golbad, Parisa Khoshnoud, Nidal Abu-Zahra. International Journal of Environmental Science and Technology, 14(1): 1735-1472 (2016). “Synthesis, Characterization and Performance of Polyurethane Foam Nanocomposite for Arsenic Removal from Drinking Water,” Faten B. Hussein, Nidal H. Abu-Zahra. Journal of Water Process Engineering, 13(2016): 1-5 (2016). “Structure–performance relationship of bulk functionalized polyurethane foams designed for lead ion removal from water,” Subhashini Gunashekar and Nidal Abu-Zahra. Journal of Porous Materials, 23(3): 801-810 (2016). “Synthesis of Functionalized Polyurethane Foam using BES Chain Extender for Lead ion Removal from Aqueous Solutions,” Subhashini Gunashekar and Nidal Abu-Zahra. Journal of Cellular Plastics, 51(5-6): 453-470 (2014). “Liquid flow in polyurethane foams for filtration applications: a study on their characterization and permeability estimation,” Subhashini Gunashekar, Krishna M. Pillai, Ben C. Church, Nidal H. Abu-Zahra. Journal of Porous Materials, 22(3): 749-759 (2015). “Characterization of Functionalized Polyurethane Foam for Lead ion Removal from Water,” Subhashini Gunashekar and Nidal Abu-Zahra. International Journal of Polymer Science, vol. 2014: 1-8 (2014). “Structurally Functionalized Polyurethane Foam for Elimination of Lead Ions from Drinking Water,” Nidal Abu-Zahra and Subhashini Gunashekar. Journal of Research Updates in Polymer Science, 3(1): 16-25 (2014). "Functionalized PU Foam for Water Filtration," Nidal Abu-Zahra and Subhashini Gunashekar. World Academy of Science, Engineering and Technology, International Journal of Chemical, Molecular, Nuclear, Materials and Metallurgical Engineering, 8(4): 1-6 (2014). “Enhanced morphological and optoelectronic properties of organic solar cells incorporating CuO, ZnO and Au nanoparticles,” Aruna Wanninayake, Benjamin Church, Nidal Abu-Zahra. Journal of Materials and Environmental Science. IN PRESS (1/28/2018). “CuO NPs Incorporated Single and Double Junction Polymer Solar Cells,” Aruna Wanninayake, Benjamin Church, Nidal Abu-Zahra. International Journal of Nanoelectronics and Materials, 10(2): 137-146 (2017). “Annealing Effect on ZnO-NPs Buffer Layer Assembled Organic Solar Cells synthesized with CuO Nanoparticles,” Aruna Wanninayake, Benjamin Church, Nidal Abu-Zahra. Advanced Materials Letters, 8(1): 08-12 (2016). “Effect of ZnO Nanoparticles on the Power Conversion Efficiency of Organic Photovoltaic Devices Synthesized with CuO Nanoparticles,” Aruna Wanninayake, Benjamin Church, Nidal Abu-Zahra. AIMS Materials Science, 3(3): 927-937 (2016). “Effect of n-dodecylthiol and thermal annealing on the performance of P3HT/PC70BM polymer photovoltaic cells,” Mahmoud Algazzar and Nidal Abu-Zahra. International Journal of Sustainable Energy, 35(3): 217-229 (2016). “Plasmonic Effect of Au Nanoparticles in Enhancing Power Conversion Efficiency of ZnO Buffer Layer Assembled Organic Solar Cells,” Aruna Wanninayake, Benjamin Church, and Nidal Abu-Zahra. Journal of Sustainable Energy Engineering, 3(4): 333-342 (2016). “CuO Nanoparticles Based Bulk Heterojunction Solar Cells: Investigations on Morphology and Performance,” Aruna Wanninayake, Subhashini Gunashekar, Shengyi Li, Benjamin Church, Nidal Abu-Zahra. ASME Journal of Solar Energy Engineering, 137(3): 031013 1-7 (2015). “Performance Enhancement of Polymer Solar Cells using Copper Oxide Nanoparticles,” Aruna Wanninayake, Subhashini Gunashekar, Shengyi Li, Benjamin Church, Nidal Abu-Zahra. Semiconductor Science and Technology, 30(622): 064004 1-7 (2015). “Effect of Thermal Annealing on the Power Conversion Efficiency of CuO-Bulk Heterojunction P3HT/ PC70BM Solar cells,” Aruna Wanninayake, Subhashini Gunashekar, Shengyi Li, Benjamin Church, Nidal Abu-Zahra. Journal of Sustainable Energy Engineering, 3(2): 107-126 (2015). “Electrical and Optical Properties of Hybrid Polymer Solar Cells Incorporating Au and CuO Nanoparticles,” Aruna Wanninayake, Shengyi Li, Benjamin Church, Nidal Abu-Zahra. AIMS Materials Science, 3(1): 35-50 (2015). “Thermal Annealing on P3HT/PC70BM Solar Cells Incorporated with Au and CuO Nanoparticales,” Aruna Wanninayake, Shengyi Li, Benjamin Church, Nidal Abu-Zahra. International Journal of Renewable Energy Research-IJRER, 5(4): 1080-1091 (2015). “Effect of Crystallinity on the Performance of P3HT/PC70BM/n-Dodecylthiol Polymer Solar Cells,” Nidal Abu-Zahra and Mahmoud Algazzar. ASME Transactions - Journal of Solar Energy Engineering, 136(2): 021023 1-7 (2014). "Enhancing Power Conversion Efficiency of P3HT/PCBM Polymer Solar Cells," Nidal Abu-Zahra and Mahmoud Algazzar. World Academy of Science, Engineering and Technology, International Journal of Chemical, Molecular, Nuclear, Materials and Metallurgical Engineering, 8(4): 1-6 (2014). “Gradual Wear Monitoring of Turning Inserts Using Wavelet Analysis of Ultrasound Waves,” Nidal H. Abu-Zahra and Gang Yu. The International Journal of Machine Tools and Manufacture, 43(4): 337-343 (2003). “Tool Chatter Monitoring in Turning Using Wavelet Analysis of Ultrasound Waves,” N. H. Abu-Zahra and J. H. Lange. International Journal of Advanced Manufacturing Technology, 20(4): 248-254 (2002). “Analytical Model for Tool Wear Monitoring in Turning Operations Using Ultrasound Waves,” Nidal H. Abu-Zahra and Gang Yu. International Journal of Machine Tools and Manufacture, 40(11): 1619-1635 (2000). “Multi-Functional Sensor for On-Line Tool Condition Monitoring in Turning Operations,” Taysir H. Nayfeh and Nidal H. Abu-Zahra. Journal of Materials Evaluation, 56(3): 443-448 (1998). “Calibrated Method for Ultrasonic On-Line Monitoring of Gradual Wear During Turning Operations,” Nidal H. Abu-Zahra and Taysir H. Nayfeh. International Journal of Machine Tools and Manufacture, 37(10): 1475-1484 (1997). “On-Line Ultrasonic Tool Chipping Detection during Turning Operations,” Nidal H. Abu-Zahra and Taysir H. Nayfeh. Journal of Engineering Design and Automation, 3(3): 245-254 (1997). Nidal Abu-Zahra, Parisa Khoshnoud, Subhashini Gunashekar, “Effect of Fly Ash on the Mechanical and Thermal Properties of Rigid PVC Foams,” World Academy of Science, Engineering and Technology, Marrakesh (2015). Nidal Abu-Zahra and Aruna Wanninayake, “Polymer Solar Cells Synthesized with Copper Oxide Nanoparticles,” World Academy of Science, Engineering and Technology, Marrakesh (2015). Nidal Abu-Zahra and Murtatha Jamel, “Effect of Glass Fibers on the Dimensional Stability and Strength of Rigid PVC Foams,” World Academy of Science, Engineering and Technology, Jeddah (2015). Nidal H. Abu-Zahr and Mahmoud Algazzar, “Enhancing Power Conversion Efficiency of P3HT/PCBM Polymer Solar Cells,” International Science Conference, Lisbon, Portugal, April 17-18 (2014). Nidal H. Abu-Zahra and Subhashini Gunashekar, “Functionalized PU Foam for Water Filtration,” International Science Conference, Lisbon, Portugal, April 17-18 (2014). Nidal Abu-Zahra, “Tool Chatter Monitoring in Turning Using Ultrasound Wavelet Packet Analysis,” Proceedings of the International Conference on Leading Edge Manufacturing in 21st Century, JSME, Niigata, Japan, November 3-6, pp. 639 – 644 (2003). Nidal Abu-Zahra, “Real-Time Monitoring of a Multi-Variable System - Sensor Fusion Approach,” Proc. of The Int, Conference on Mechatronics (ICOM 2003), Loughborough, UK, June 18-20 (2003). Nidal Abu-Zahra, “In-Line Measurement of Melt Density in Polymer Extrusion Using Shear Ultrasound Waves,” Proceedings of the 61st SPE-ANTEC 2003, Nashville, TN, May 4-8 (2003). Nidal H. Abu-Zahra, "Service Learning: Bridging Theory with Practice, Knowledge with Action, Campus with Community," Proceedings of the ’02 International Conference on Engineering Education (ICEE 2002), UMIST, Manchester, UK, August 18–22 (2002). Nidal Abu-Zahra, “Sensors Fusion Application in Real-Time Monitoring of Plastics in Extrusion Process,” Proc. of the 8th Int. Mechatronics Conf. at the U. of Twente, Enschede, Netherlands, June 24-26 (2002). 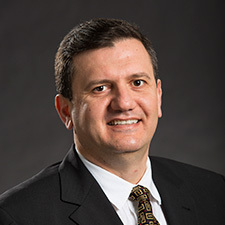 Nidal H. Abu-Zahra, “Advanced Machining Practices: Continuous Learning through Smart Partnership between the University of Wisconsin-Milwaukee and Custom Products Corporation,” 2002 Conf. for Industry and Education Collaboration (CIEC), Sarasota-Florida, Feb 4-8 (2002). Nidal H. Abu-Zahra, “Artificial Neural Network Application in Polymer Extrusion Process Control,” Proceedings of the 1st International Industrial Engineering Conference at the University of Jordan, Amman-Jordan, September 23-27 (2001). Nidal H. Abu-Zahra and Ashish Seth, “In–Process Density Control of Foamed Polymers Using Ultrasound Waves,” Proc. of the 7th Int. Mechatronics Forum, Georgia Tech, Atlanta, Sept 6-8 (2000). Yan Zhang (exp. 2018). Dissertation Title: “Novel Carbon Coating Materials for Water Purification"
Yihan Xu (exp. 2019). Dissertation Topic: Li-S ion Batteries. Alaa Momena (exp. 2019). Dissertation Topic: Decision Making Algorithm for the Manufacturing of Nanocomposite Materials. Mohammed Alsaggaff (exp. 2019). Dissertation Topic: Implementation of Lean Manufacturing Principles in Developing Economies. Mahmoud Alghazzar (2012). Dissertation Title: Synthesis and Characterization of P3HT/PCBM/n-Dodecylthiol Polymer Solar Cells"
Ali Alian (2008). Dissertation Title: “Synthesis and Characterization of Rigid Foam PVC/Nanoclay Composites"
Irfan Shanti (2003). Dissertation Title: “Measuring Polymer Melt Density and Viscosity in Real-Time during Extrusion Processes using Ultrasound Sensors Fusion"
Srinivas Ganapathyraju (2003). Dissertation Title: “Quad-Tree Based Mapping and Path Planning for Teleoperated Mobile Robot"
Gang Yu (2002). Dissertation Title: “Tool Wear Monitoring in Turning Operations Using Ultrasound Waves and Artificial Neural Networks"